Pimping this for those who are interested. I'd consider it but already have 3 stories I need to do art for by June 19th already plus gonna be busy at my job as they are changing to a new computer program meaning they are making me work extra. :( Ugh! 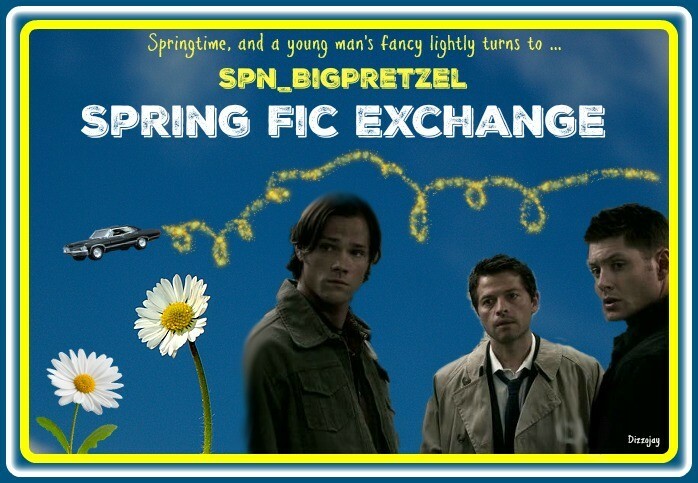 There are lots of great tempting prompts over here in the spn_bigpretzel Spring Fic Exchange, so here's a call for all you wonderful artists to head on over there and illustrate those fabulous stories!